Arnewood offers a range of opportunities for our students outside of the curriculum, including those that cover most sporting and cultural interests. 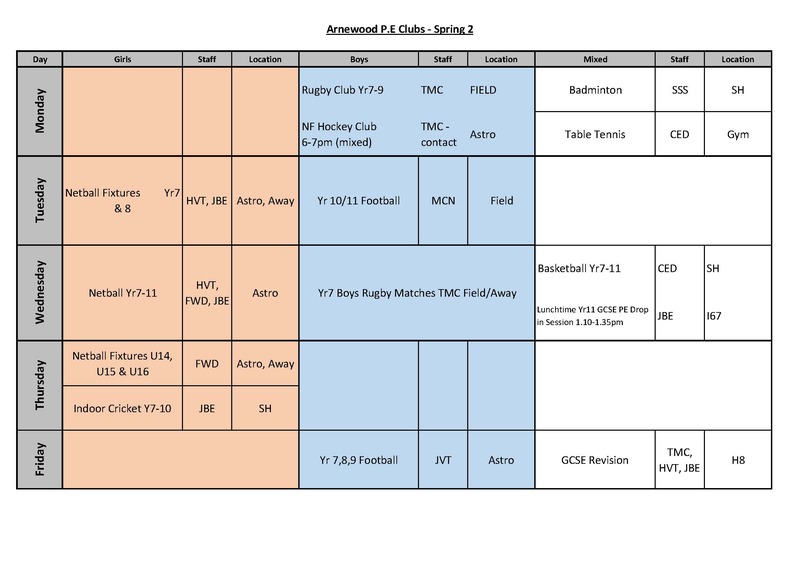 A regular programme of sporting fixtures is arranged for each academic year. Please speak with Mrs Ballantyne (Head of PE) or your PE teacher for further information on sports teams and local tournaments.